Late 2015 saw the publication of a new book titled Rashomon Effects: Kurosawa, Rashomon and Their Legacies. It is a 198-page collection of essays which examines Rashomon and its effects across a wide range of subjects. Published as part of the Routledge Advances in Film Studies series, the book was put together by the editor team of Blair Davis, Robert Anderson and Jan Walls. I am here to review it. As usual, this review will consist of two parts: a description of contents and an evaluation. The opening chapter, simply titled “Introduction” (10 pages) and written by the editors, begins the book by laying out the issue at hand. This is a book not just about Rashomon but the legacy that the film and its director have had on our world. The authors use the metaphor of ripples in a lake, with the splash of Rashomon‘s release launching a chain reaction of waves which still continues with the ripples reaching ever further shores. The authors identify three significant stages for these Rashomon ripples: the literary origins of the Rashomon narrative, the production and reception of Kurosawa’s film, and finally the outer circle of the film’s “transcultural, transdisciplinary and cross-media influences, all of which generate ripples that influence other iterations”. This roughly corresponds to the way the book is organised. The first essay, “From Konjaku and Bierce to Akutagawa to Kurosawa: Ripples and the Evolution of Rashomon” (8 pages) is by one of the editors, Jan Walls, and begins the study of the ripple effect by looking at the literary and cultural history behind Rashomon. It discusses how the two twelfth century tales became modernist literary pieces in the hand of Ryūnosuke Akutagawa and how those in turn were transformed into one of the most famous films of all time. The chapter also discusses how the story translates into the English speaking world both culturally and linguistically. Chapter three is titled “Smiled on by Lady Luck: Rashomon” (20 pages), and if that sounds familiar it is because you may well have already read it. It comes from Teruyo Nogami’s book Waiting on the Weather and narrates her experiences of the filming process, the first time she worked on a Kurosawa film. Another more than familiar name follows: Donald Richie. The chapter “The Production History of Rashomon” (4 pages) is the first of three chapters that the late Donald Richie contributed for the book which is also dedicated to his memory. 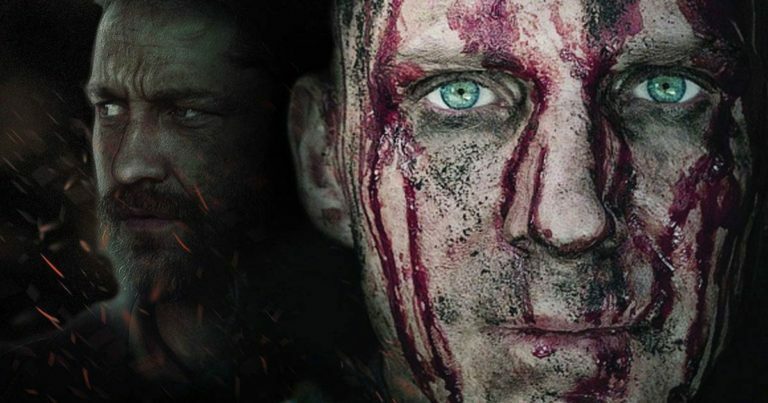 Here, Richie briefly talks about how Rashomon‘s planned aesthetics influenced its production. “Rashomon Perceived: The Challenge of Forging a Transnationally Shared View of Kurosawa’s Legacy” (13 pages) is an essay by Andrew Horvat which contrasts the film’s critical evaluation in Japan to the one that it has received abroad. One of the most interesting of the books many interesting essays, it talks about the causes and effects of the remarkable intellectual gulf that exists between Japanese and western film critics, not only with Rashomon but also beyond it. In “Rashomon as a Twelfth Century Period Picture and Occupation Period Social Critique” (10 pages), Janice Matsumura examines the film from two fairly different but nonetheless complementary points of view: first as a historically accurate 12th century period film and then as a film which is in full dialogue with its contemporary post-war environment. Both of these aspects are often overlooked by western approaches to the film. 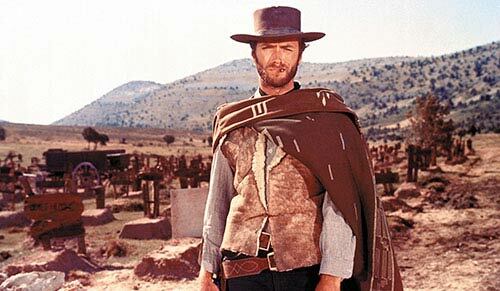 Robert Anderson’s essay “What is the Rashomon Effect?” (20 pages) sets out to answer the question that its title poses. Rather than accept any of the often promoted superficial definitions of the term, Anderson pushes for a more complex interdisciplinary interpretation, taking the reader on a brief journey from film studies to psychology, anthropology to sociology, communication studies to law, and finally all the way to epistemology. In “The Rashomon Effect: Considerations of Existential Anthropology” (10 pages), Nur Yalman takes the baton from Anderson and discusses Rashomon‘s relevance to anthropological studies, where the understanding of different subjective realities is essential. “Screening Truths: Rashomon and Cinematic Negotiation” (19 pages) by Blair Davis and Jef Burnham returns the discussion back to the film itself and looks at the ways in which Rashomon interacts with its audience, subverting their expectations while also guiding and challenging them. 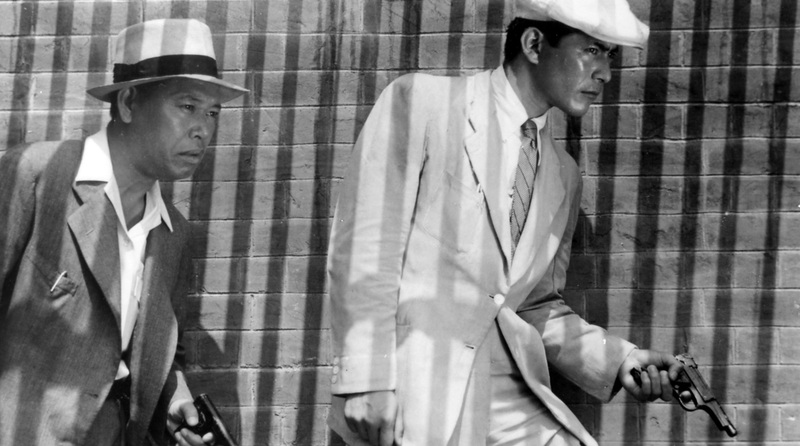 The authors contrast Rashomon with what they call “mind-game films”, referring to the type of puzzle narratives that became popular in the 1990s and include titles like Memento, The Usual Suspects and Fight Club, and which in the authors’ view while derived from Rashomon operate with a fairly different didactic goal in mind. Donald Richie’s second chapter for the book, titled “Reflections on Rashomon, Kurosawa and the Japanese Audience” (7 pages) is a brief examination of the film’s initial reception in Japan, as well as something of a mournful lament of the direction that Kurosawa’s legacy seems to be heading towards in the country. Richie sees Kurosawa running “the enormous risk in Japan of becoming a great classic”, by which he means “omnipresent but dead”, or a monument rather than something that continues to be relevant in a way that Richie believes should still be possible today. Moving from one iconic Kurosawa scholar to another, Richie’s chapter is followed by one by Stephen Prince. In “Kurosawa’s International Legacy” (15 pages), Prince discusses the ways in which Kurosawa has influenced western filmmakers in both technique and content. 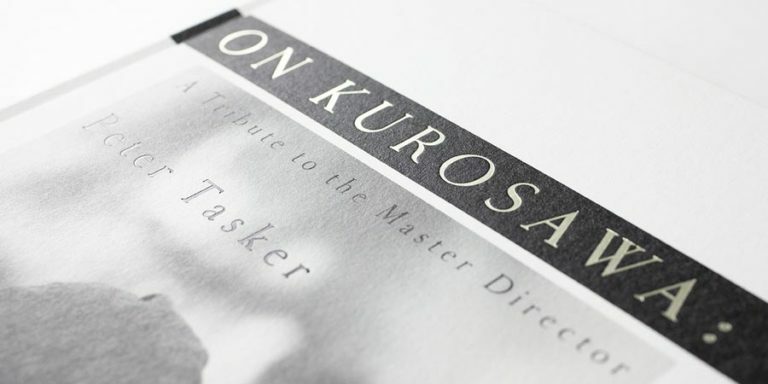 Towards the end of the chapter he gives astute observations of the direction that film as an art form is taking today, arguing that Kurosawa represented an altogether different era of filmmaking, something that has by now disappeared due to market conditions and technological changes, fundamentally changing the way cinema works and what it has potential for. “Dialogue on Kurosawa: Nationality, Technique, Lifework” (14 pages) is an account of a conversation between Donald Richie and Stephen Prince that took place at a conference in 2000. Or at least that’s what it appears to claim to be, although the conversation also seems to reference the new book, which is somewhat confusing considering that the book was published three years after Richie’s death. In any case, the mood is very conversational and the discussion interesting, with subjects covered including nationality, cinematic technique, literary sources and Kurosawa’s legacy. Also included as the preface is a touching homage in which Prince talks about Richie. “Conclusion: Ripples and Effects” (pages 6 pages) is the last chapter, serving as a concluding remark by the editors which ties together what has been discussed and how it relates to further study. This is followed by two appendices, one of which shortly discusses the Rashomon effect in social sciences while another lists various permutations of Rashomon in film, theatre, television, radio and music. The book also includes a fairly comprehensive bibliography and a good index. When I first heard about Routledge’s plans to publish a new essay anthology about Rashomon, I admit that my initial thought was “why again”. Not only do we already have the Donald Richie edited anthology Rashomon, but the film is rather well covered in just about any book that discusses Kurosawa: just see the film’s bibliography section. It is probably also the Kurosawa film most discussed by those not writing about Kurosawa directly. The continued interest in Rashomon is of course a testament to the film’s merit and longevity, but one does sometimes wonder if time and space wouldn’t at this point be better spent concentrating on almost any of the other films that Kurosawa directed. After reading Rashomon Effects and thinking about it, my feeling is that my initial reaction had been, perhaps fittingly considering the book’s subject matter, both justified and mistaken. Although mainly mistaken. The long and short of it is that Rashomon Effects is a great collection of essays. Rather than looking solely at the film, which many others have already done with great care, it packs an enormous range of topics into a fairly compact packaging. The editors have done a wonderful job in arranging the chapters and guiding their readers with the introductory and concluding chapters. At least as far as the English speaking world goes, this could well be called the definite book on Rashomon and the Rashomon effect. In particular if you have never dived into the literature on the film and its legacies but are interested in the subject, this is a definite must read. At the same time, if you are already intimately familiar with Richie, Prince and Nogami, the thin book becomes even thinner with new content. About a third of the book will be something that you have already read in one way or another, and in Nogami’s case literally so. This is not to say that these chapters shouldn’t have been included — the book is certainly made better by them — but they do offer very little new to someone familiar with the discourse around Rashomon. Fortunately, the other chapters are strong enough to make the book worth getting hold of, and it must also be said that not everything that Richie and Prince write here is repeating what you have heard them say earlier. Also, in the end, it’s Richie and Prince. Both are always a joy to read, whether or not it’s entirely new to you or if you even fully agree with them. So, yes, Rashomon Effects should find its way into your reading list if you are in any way interested in the film or the legacy that Kurosawa created with it. 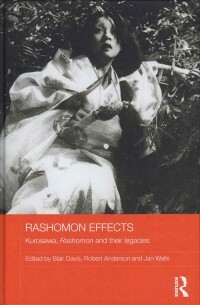 As it is an academic publication, Rashomon Effects: Kurosawa, Rashomon and Their Legacies is not exactly the cheapest book out there. Copies, including ebook ones, can as always be found at Amazon.com, Amazon.co.uk and Amazon.de, among other places. For more information about book written about Akira Kurosawa and his films, check out the Akira Kurosawa books section.